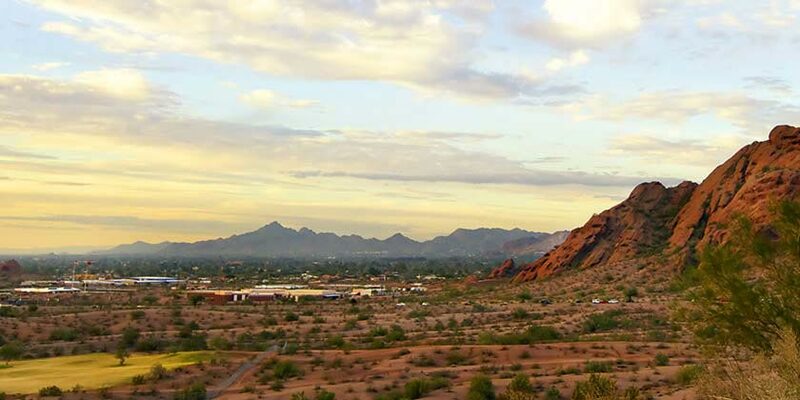 Phoenix, Arizona, is a sprawling desert metropolis lush with arts and entertainment. Originally home to American Indians and just a short distance from Mexico, Phoenix boasts culture, history, and delicious dishes. This city is a haven for sports enthusiasts, with its professional teams, races, and world-class golf. If golfing’s not your thing, relax at one of the many soothing spas or discover an abundance of shopping opportunities. Whether you’re looking for an adventure or just to refresh and rejuvenate, a Phoenix vacation has you covered. Visit one of the world's wonders, the Grand Canyon, and see Sedona's amazing Red Rock landscapes and the Navajo Nation on a full-day trip. A trip to the Grand Canyon is a must-do. Drive through the Sonoran Desert to the red rock country of Sedona, and then continue to Oak Creek Canyon. Spend a family-friendly day in the Wild West, where acres of pristine Arizonan landscape play host to western adventures with something for everybody! Discover the stunning array of sandstone formations at the Red Rocks of Sedona. You will also explore ancient ruins on this day tour. Relive the legends of one of the Wild West's most famous towns TombstoneVisit the OK Corral, Birdcage Theatre and Big Nose Kate's Saloon. Explore the legendary Grand Canyon by helicopter! Your tour will take you through the Red Rocks of Sedona for your 50-minute helicopter excursion. Resort info: First-class accommodations blend with traditional service, this resort features Frank Lloyd Wright-inspired architecture. Resort info: The only AAA Four Diamond All suite property in Arizona makes the Arizona Grand Resort the leading family vacation getaway. Resort info: Experience the true spirit of the Southwest at this beautiful Scottsdale retreat. Resort info: This family-friendly resort provides the perfect blend of spectacular sunsets, unforgettable adventure and unparalleled rest and relaxation. Resort info: An ideal retreat for families, golf enthusiasts and luxury travelers, this upscale resort has something for everyone. Resort info: Guests to this upscale cliffside resort enjoy deluxe, all-suite accommodations, championship golf, tennis & a spa for personal pampering & relaxation.